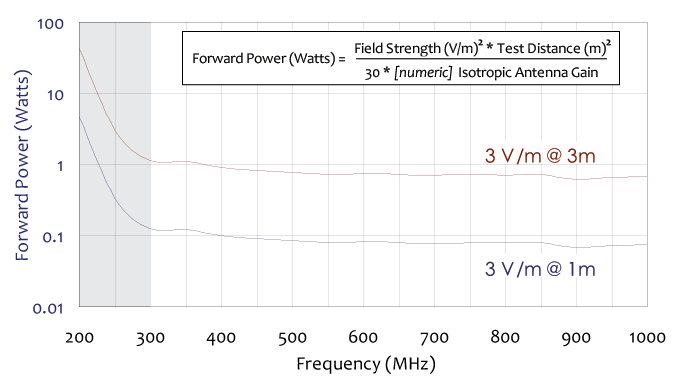 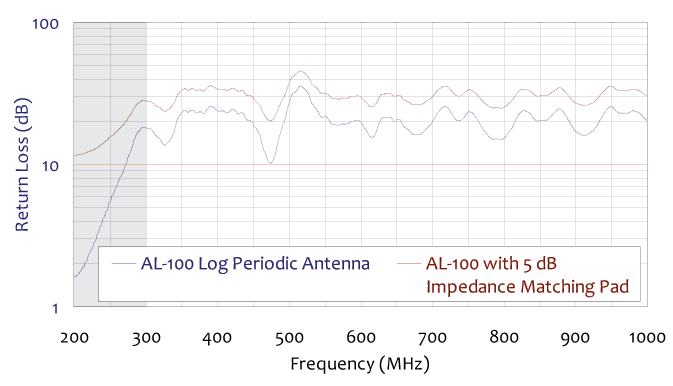 Com-Power Model AL-100 Log Periodic Antenna is lightweight and rugged. 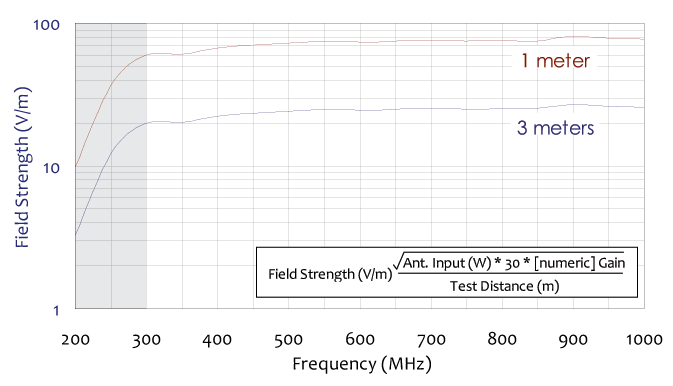 This Log Periodic Antenna can be utilized for EMI radiated emissions or immunity testing to meet the various test standards. 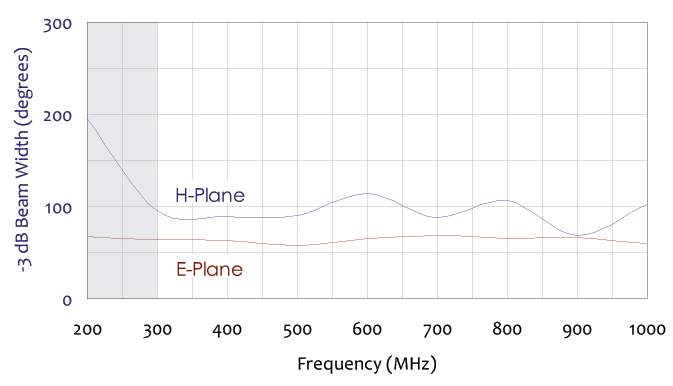 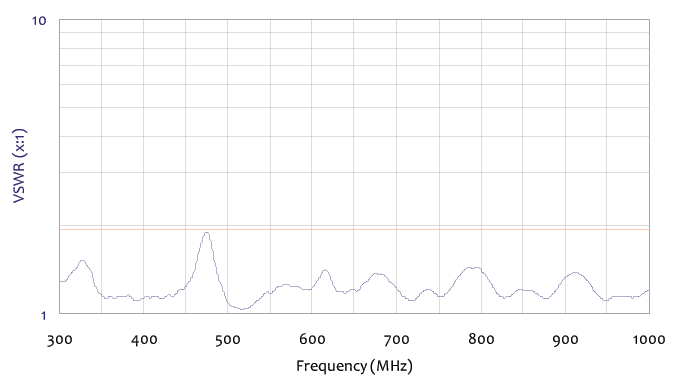 Our Log Periodic Antenna has a low VSWR and can be used inside an anechoic chamber or outdoors in an open area test site. 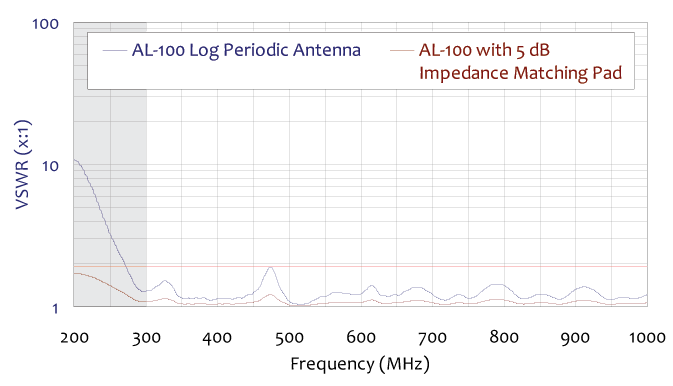 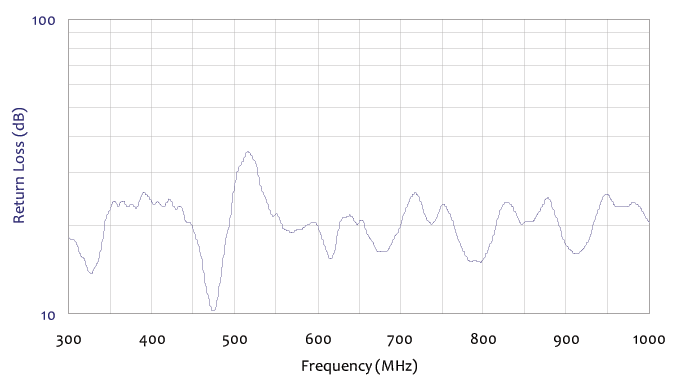 This Log Periodic Antenna operates in the frequency range of 300 MHz to 1 GHz. 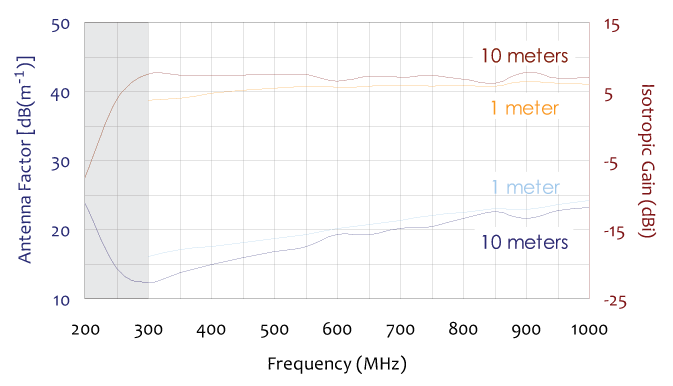 Specifications: FCC, CISPR, EN, ETSI, FAA, Mil-Std, Automotive, etc.